Good write up there Dan!!! I think I need to do my starter switch and while I'm at it, I'll then do my turn signal switch as well. 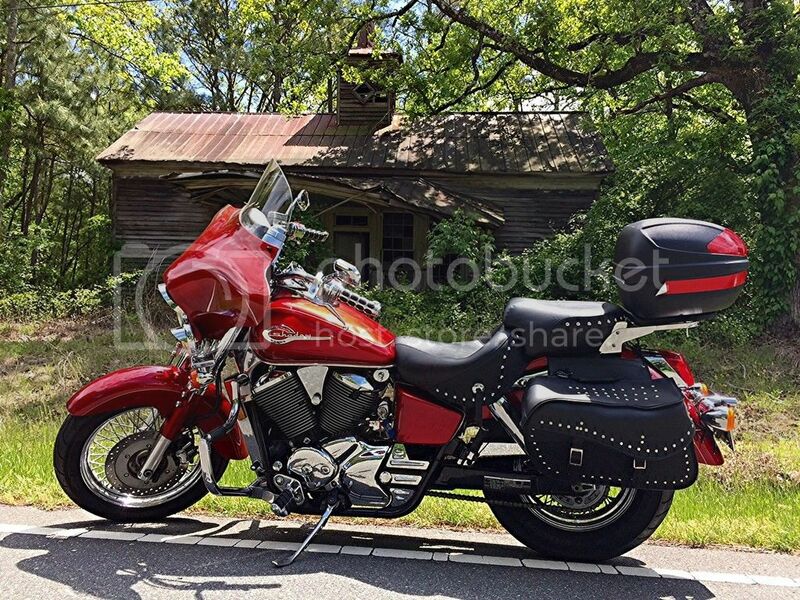 New to me '05 Shadow 750 w/ just over 24K on it. Don't neglect the killswitch. For months I had an intermittent problem losing power and it coming back in a few seconds. Not fun at 80 mph. Checked everything I could think of, then it occurred to me that the symptom felt just like hitting the killswitch and turning it back on. Took it apart and sprayed with some Radio Shack contact cleaner, and it's been great for a year now. I've been noticing my turn signal feeling a little 'gummy' too. This is going on my to-do list. Thanks. Just finished cleaning the turn signal. It was pretty grimy in there. Nice and smooth now. Thanks for the info. Unable to ride this past weekend due to snow, but remembered reading this thread while looking at the bike, so I took the switch apart, cleaned and lubed w/white lithium grease. Much better! Thanks for the great help! Thank you for the instructions and photo. I detailed my bike yesterday and this morning discovered the turn signal switch was wonky (exactly what you described your switch doing). Nice to know I can handle this one on my own thanks to your instructions. Starter button would only connect when I pushed it in about 1/2 way. Removed cleaned and replaced the switch and good to go. My starter switch was acting up recently. I tried contact cleaner, but it didn't help. I pried the switch case open, bent the sliding contact points up a bit, and re-assembled. It's working like a champ now and firing up every time! You might want to read the can when using contact cleaner. Make sure it is safe on plastic. Products like Lectra Clean work great but eat plastic. A pencil eraser works great to shine up the contacts also.